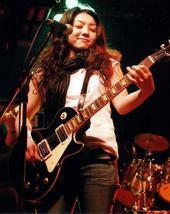 When pop-rock artist Aiko Kasashi first heard Janis Joplin, it made her want to sing. When she heard the Beatles she wanted to write music. And when she listened to Coldplay she dreamed of making a band. This is the road which has led to her life of music. “For without music wouldn’t only anxiety and fear be left” she says. Now she is achieving those dreams of childhood by regularly making music while performing live around Tokyo and Japan. With a sound both soft and powerful its only a matter of time before her breakout moment comes to pass. Be sure to check out her songs online via itunes or her official home page.